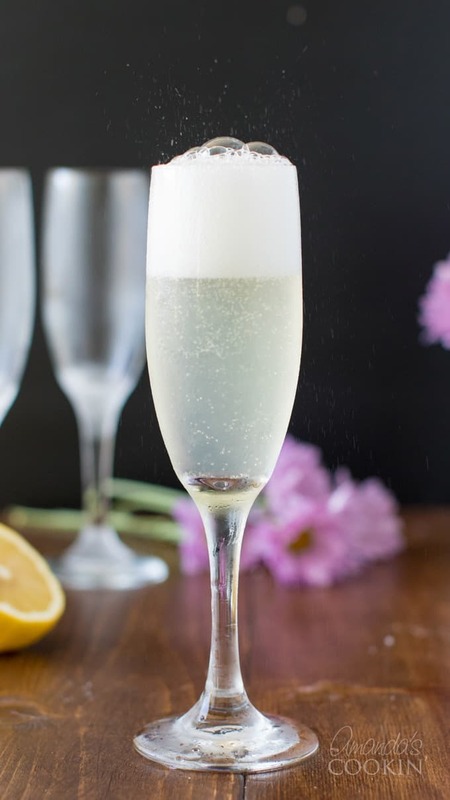 The French 75 is a classic bubbly cocktail that’s perfect for brunch, weddings, and holidays such as Mother’s Day. 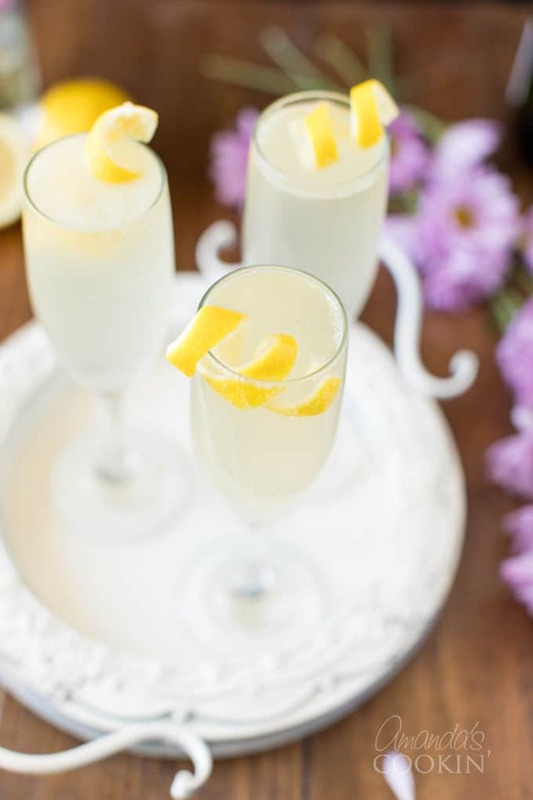 Much like a spiked bubbly lemonade, the French 75 is a refreshing summertime drink as well. The classic cocktail is a lighter counterpart to the traditional mimosa. 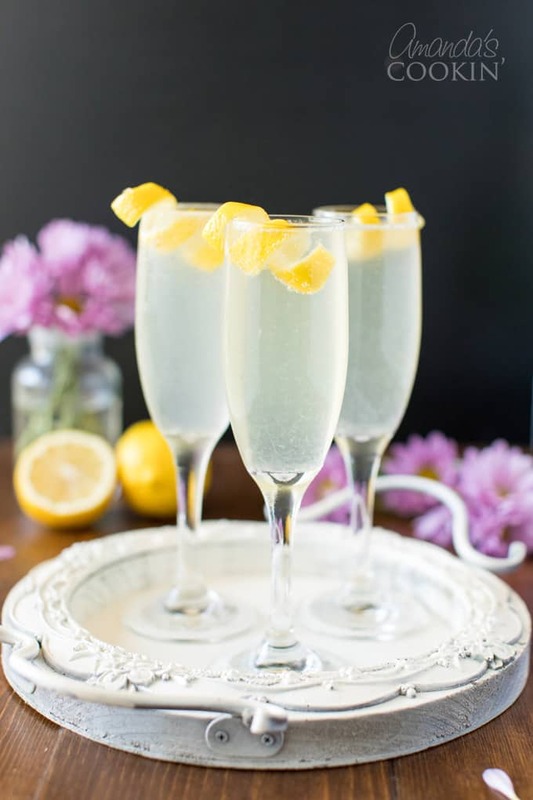 Gin, champagne, fresh squeezed lemon juice, and sugar or simple syrup make up this delicious celebratory cocktail. 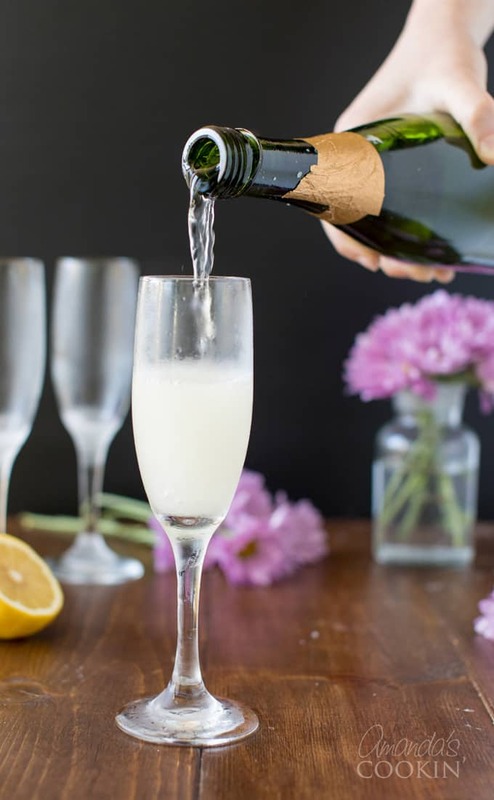 This drink is traditionally served in a champagne flute and is a great addition to brunch for Easter or Mother’s Day. 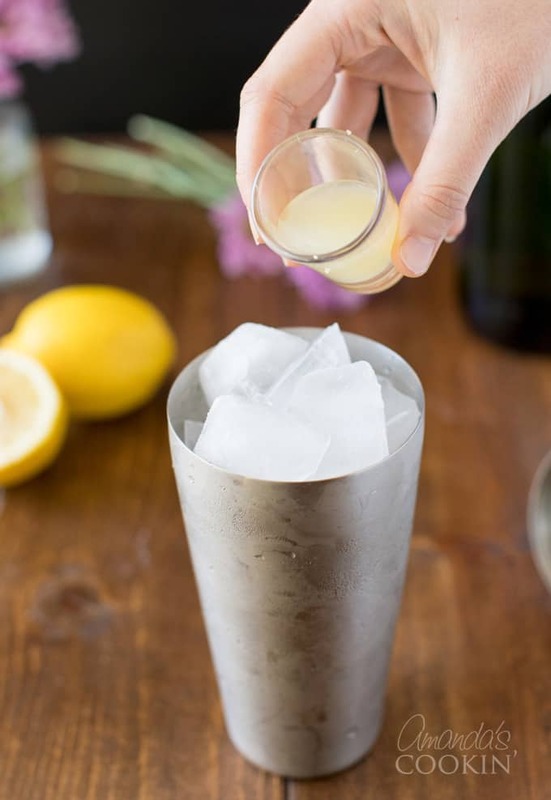 You’ll need a cocktail shaker to make this drink, but don’t shake the champagne! Using a paring knife or a zester, slice peel from lemon, going all the way around to create a long spiral. Fill paring knife with ice. Add gin, lemon juice, and simple syrup. Shake vigorously for 20 seconds. Strain into chilled champagne flute and top with Brut. Curl lemon peel around a wooden spoon or your finger to create a long twist. Garnish drink with twist and serve immediately. Hint: you can print this recipe with measurements and steps at the end of this post. 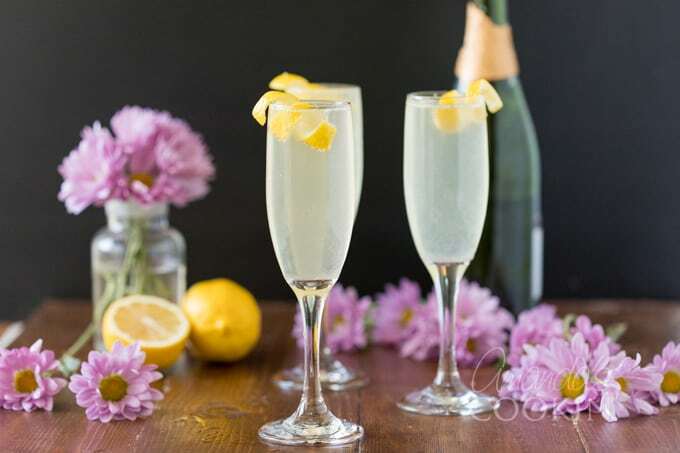 Why is it called French 75? This celebratory drink has also been called a 75 Cocktail, or when translated from French it’s called a Seventy Five. This cocktail has an interesting history, as do most drinks. Dating back to World War I, it’s said that barman Harry MacElhone created the drink in 1915 at the New York Bar in Paris. 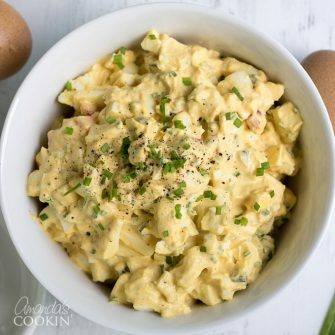 The name was coined because patrons said the combination had such a kick that it felt like being shelled with the powerful French 75mm field gun. The French 75 recipe has changed over the years, where Harry’s original contained Calvados, gin, grenadine, and absinthe. 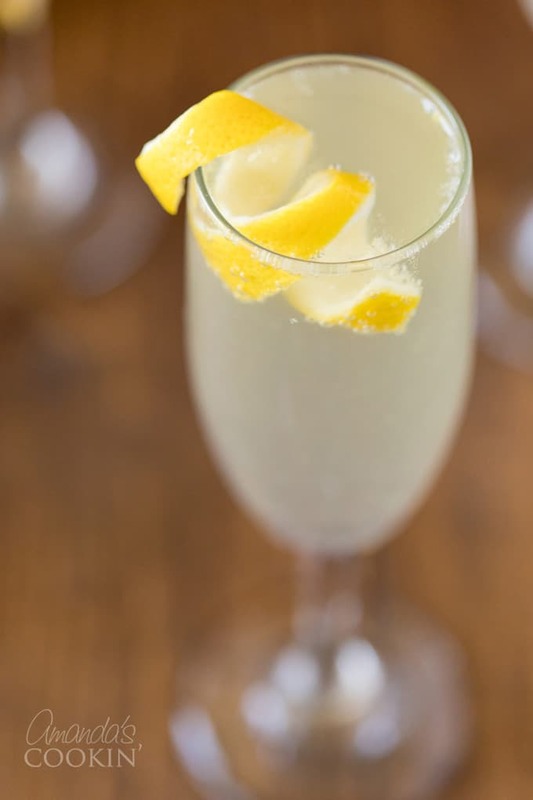 In the 1927 book “Here’s How” by Judge Jr. the name French 75, was coined and the recipe you see here today became a classic. There are some other mixology books that replace the gin in this recipe with Cognac. If you’ve ever seen the 1942 film Casablanca, then you’ve likely heard of this bubbly cocktail already. It was also mentioned in two of John Wayne’s films in the 1940’s and 1950’s, and more recently in 2016, it appeared in the series, Mr. Selfridge. Gimlet Cocktail – A gimlet is a combination of London dry gin, freshly squeezed lime juice and simple syrup, served in a coupe glass. 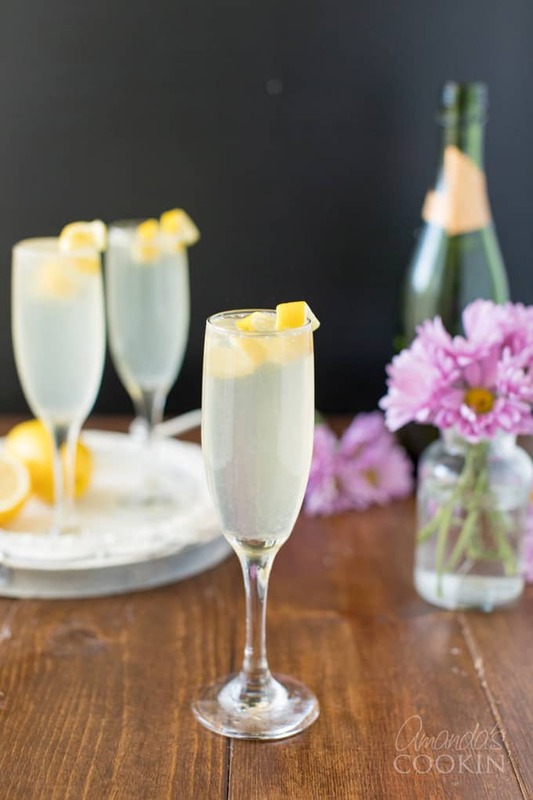 Tom Collins – This drink has almost the same ingredients as the French 75, only instead of champagne, carbonated water is used. Lemon Drop – Served in a martini glass, vodka, triple sec, fresh squeezed lemon juice, and simple syrup are shaken with ice and strained before serving. Lynchburg Lemonade – This summertime favorite combines Jack Daniel’s whiskey with triple sec, lemon juice and lemon-lime soda. It’s named for Lynchburg, Tennessee where the Jack Daniel’s distillery in located. We hope you enjoy your French 75 cocktail! 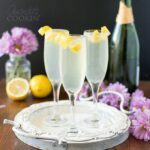 The French 75 is a classic champagne and gin cocktail perfect for brunch, weddings, and holidays such as Mother's Day. A spiked bubbly lemonade for summer. Fill cocktail shaker with ice. Add gin, lemon juice, and simple syrup. Shake vigorously for 20 seconds.